Baeten, J.C.M. (2019). 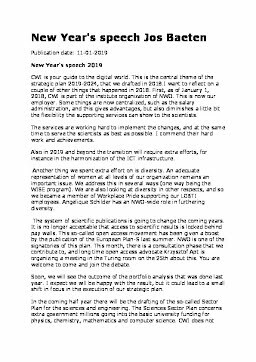 New year's speech of Jos Baeten, January 10, 2019.